October is here. Time for a spooky story. Believe it or not, this story is not ZOMBEANS. 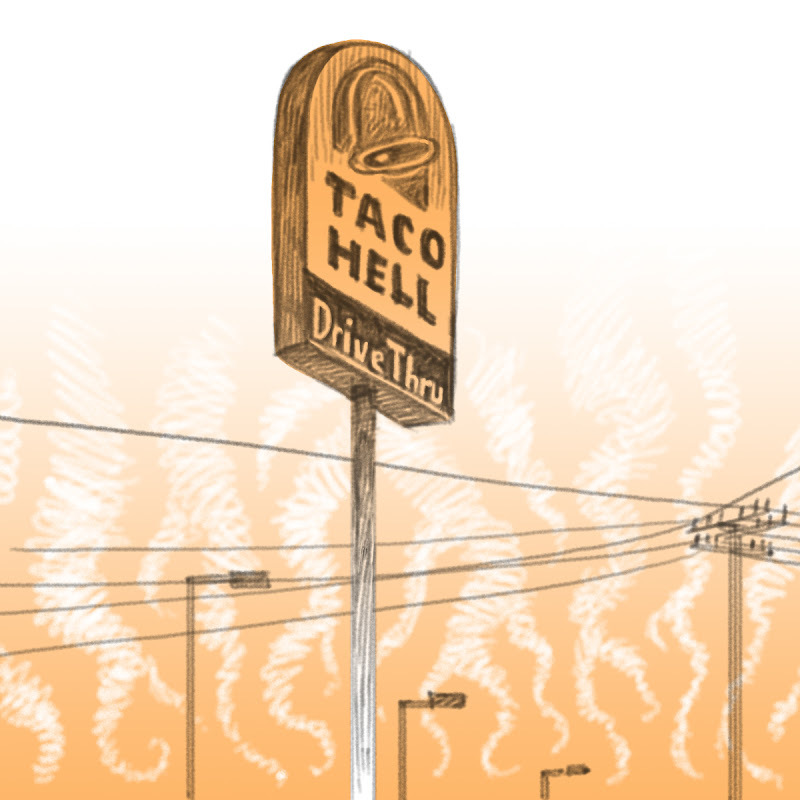 This is a different scary story involving Taco Bell. As long as it is hell for the tacos and not the people making purchases, this should be my level of spooky. Can you imagine going to the final judgment and the divine decisions are made through a crackly drive-through speaker? That's one order you don't want to get wrong. Hey, I'm offended! My first job was at Taco Bell. I learned to skate on the grease on the floor and everything. Oh I love the Bell, trust me. TRUST ME. The title will make sense once the story gets rolling. In honor of this story, I just ate a Burrito Supreme and a Baja Gordita. I am now fully prepared to be spooked. Hey, Nathan can you please check out my blog at "Naked love," and tell me what do you think of my poems. I don't know you "Homar" but you sure make me laugh.